Demand forecasting simply refers to forecasting demand/sales patterns of a company. Since it is a forecast, we cannot be accurate but should always try to minimize the difference between our forecasts and the actual. Why can forecasts not be accurate? Change is the reason why forecasts will always vary from the actual figures. These changes may be in the company’s strategy, operation, external conditions such as policy, economical conditions, weather conditions and anything which affects the company or its market in any way. So what do we need to forecast? Forecasts are broadly based on 3 things – past performance, changes happening or anticipated and future growth plan. The past performance of the company is analysed and extrapolated to get some basic forecasts to start with. Any changes we are seeing currently or are anticipating are then factored in. Finally, the company’s future investment and growth plan should be accessed and factored in to arrive at the final forecasts. 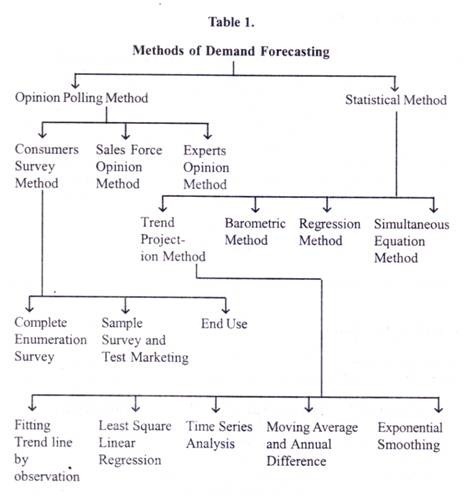 Forecasting can be for the short term and the long term. Short term forecasts refer to forecasts for a period of upto 1 year. Here seasonal cycles and growth patterns are assessed to arrive at forecasts which are primarily used in tactical decisions. 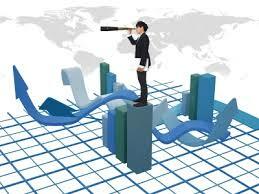 Long term forecasts revolves more around long term vision and capital planning of the company. Setting up new units, covering new locations etc. are generally accounted for in these forecasts. Forecasting happens at 4 levels. Macro Level – Here the overall economy of the country, the business is operating in, is assessed. Industry Level – The industry’s trends and growth are assessed. Firm Level – The overall company is assessed, including all its divisions. Product Level – Here the product and its growth potential are specifically assessed. The infographic has been taken from this article, which also gives details about each technique individually.